Stories of women who made important cont ributions and were the first in their field. Julia Chase-Brand, MD, PhD was brought up in Groton and was a pioneer distance runner. 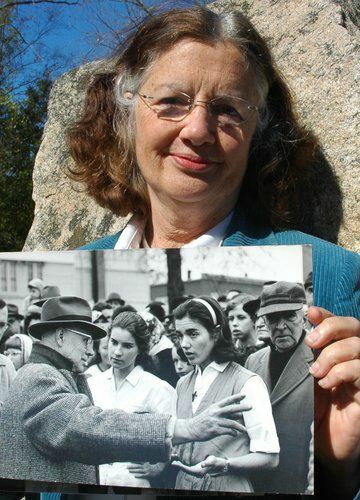 As a 19 year old Smith college sophomore, she successfully challenged the AAU ban on women’s distance running in the 1961 Manchester road race. Three months later, the AAU changed its rules, and for the first time, allowed cross-country running for American women. Julia’s PhD research on bats was done in Trinidad, and later Australia, and demonstrated that bats aren’t blind. Julia has also studied behavior in gorillas, migrating shorebirds, and bandicoots. At 49, she walked away from tenure at Barnard College and entered Albert Einstein College of Medicine, becoming its oldest graduate. She worked as a psychiatrist at L and M before retirement and lives in New London. Her husband George was a ballet dancer and political scientist, they have two children and two grandchildren.